Excellent, I didn’t know you could put HTML into a Google calendar entry, it seems you can. Hyperlink here, we come! Just checking out the s.p. on Brown selling Britain’s Gold and comparing it with the coalition’s sale of the Post Office. Over a two year period, the loss of gold value, minus the appreciation of the alternate assets purchased is pretty much what the coalition splashed up the wall on privatising the Royal Mail. When’s STV not STV? When there’s no transfer of surpluses, or when you express more than a second preference? 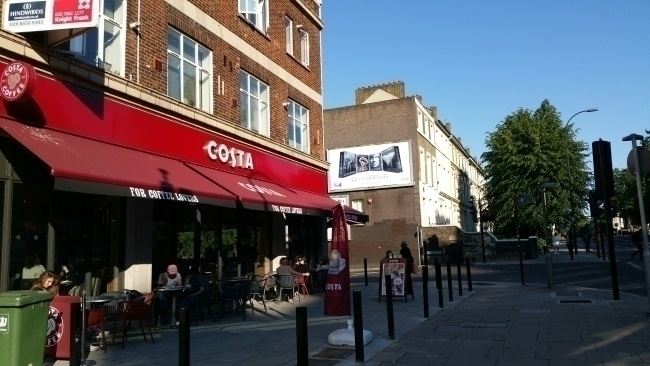 Mrs L. was saying, that Deptford is pre-gentrifying at such a rate that there’ll be a Costa next! She’s wrong, it’s already here. Went to Tower Hamlets last night, the comrades teamed me with a visitor from Hendon and sent us to the depths of Spitalfields. A new curry house has opened next to the Marquis of Granby in New Cross, hope it’s better than the last.